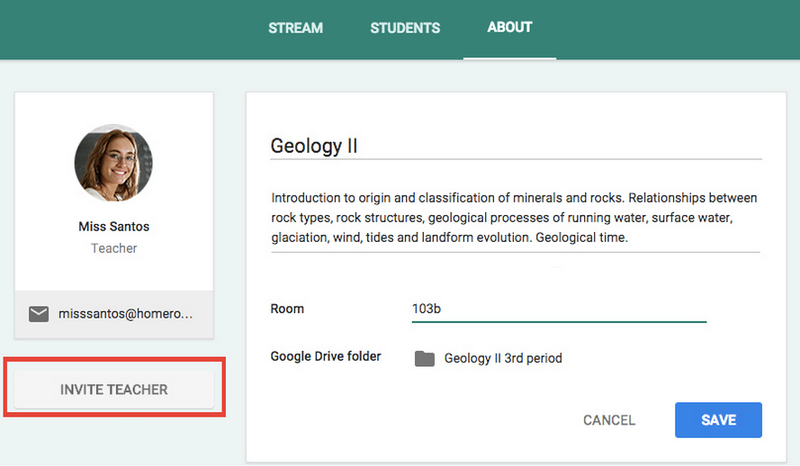 Google released 2 major updates to Classroom that teachers have been requesting since its initial release. As of yesterday, teachers can now invite collaborative teachers to post comments, post announcements, post assignments, and even assist with the grading of turned in assignments. To add a teacher to your Classroom simply click on the "About" page and select "Invite Teacher". Teachers now also have the option to save announcements and assignments as a draft. This means that you can add all of your assignments for the entire week on a Monday and publish them as the week progresses. This will be helpful with your long range planning and organization.